The Karoo is an arid to semi-arid area across the western third of South Africa, comprising the Succulent Karoo and Nama-Karoo biomes. Its environment and people have experienced considerable changes, and now face new challenges as the Anthropocene unfolds. This Karoo Special Issue (KSI) brings together new information in 20 papers, a mixture of reviews, research articles and commentaries, significantly adding to previous syntheses of Karoo knowledge. 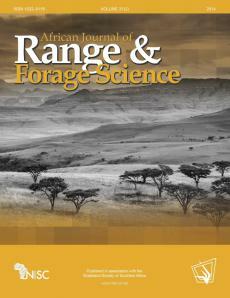 The KSI comprises several sections focusing on different aspects of change, namely a lead article that provides an overview of social and environmental changes, followed by papers concerning changes over time from deep history to contemporary conditions (Xhaeruh to Karoo), insights from long-term studies at several sites across the area, different perspectives of ecosystem processes, and ending with a set of reflections and proposals for research priorities. We end this introduction by dedicating the KSI to two outstanding scholars of the Karoo: Dr Suzanne J Milton and Dr W Richard J Dean. These KSI papers, many of which were written by their colleagues, friends and former students, represents a Festschrift that celebrates and honours their research as well as the inspiration and leadership they gave to a generation of scientists.